Dental offices are accustomed to providing a wide range of services. From explaining teeth whitening techniques to performing root canals, your dentist is an expert in many different procedures. But what happens if you damage your teeth and your dentist is unavailable? Dental emergencies aren’t limited to regular office hours. Cracked or broken teeth can cause pain and long-term damage if not handled properly. Read on to understand what causes these injuries and how to treat them until you can see your dental professional. There are many things that can create a dental emergency. Hard foods or biting down incorrectly can cause chipped, cracked or broken teeth. Existing oral health issues such as cavities can weaken your teeth, eventually causing cracks or chipping. Damage to your teeth can also happen due to a severe impact. If you fall or are hit in the face it can injure your teeth. Regardless of the cause, if you experience an issue it is important to know the signs and symptoms and what to do next. Your teeth are incredibly strong but can be damaged. These are the most common types of injuries to teeth and what to do if you experience any of these injuries and can’t see your dentist right away. There are many different types of cracked teeth. Some cracks will be minor while others can be extreme. It is important to see a dental professional as soon as possible if you believe you have a damaged tooth. If the crack is above the gum line, it should be repairable with a root canal. However, if the crack extends beyond the gum it may not be possible to save the tooth. At that point, the tooth would need to be extracted and replaced with a prosthetic device or false tooth. Some cracks or fractures result in split teeth. If a crack has progressed over time it may actually split down the tooth. Your dentist will need to examine the tooth to see if any part of it may be salvageable. A chipped tooth is usually noticeable because of a jagged edge. You may be chewing on hard candy or some ice chips and suddenly notice that there is a piece of something in your mouth that does not dissolve. This could be a piece of chipped tooth. It is also possible to chip your tooth and not realize it until you feel the missing portion and sharp edge with your tongue. Repairs to a chipped tooth will vary dramatically depending on the extent of the damage. Toothaches are usually a symptom of a larger issue such as the items above. If you experience a toothache, visit with your dentist and get checked out as soon as possible. If you are trying to alleviate your symptoms while waiting to see your dentist there are some things you can try. First, if you are experiencing pain or discomfort, try an over-the-counter pain reliever as directed. This should help ease the pain. You will also want to avoid hot and cold liquids. With some injuries, the nerve or root may be exposed and create additional pain when exposed to extreme temperatures. You may also try sealing the hole if you are suffering from a cracked or broken tooth. You can purchase dental cement at some local drugstores. Use this as directed to seal the area until you can see your dentist. This will help to minimize additional damage and discomfort. When sleeping, try to elevate your head. You may be able to lessen the pressure in the damaged area by sleeping with your head raised. The less pressure you experience, the less pain you may feel. If the damaged tooth has a sharp or jagged edge, try covering it with paraffin wax or sugarless gum. This coverage will help protect your tongue and mouth from being cut on the sharp edge. Take preemptive measures. Try to avoid hard foods. If you grind or clench your teeth, talk to your dental team about a retainer or night guard. If you experience any pain, seek out dental treatment immediately. 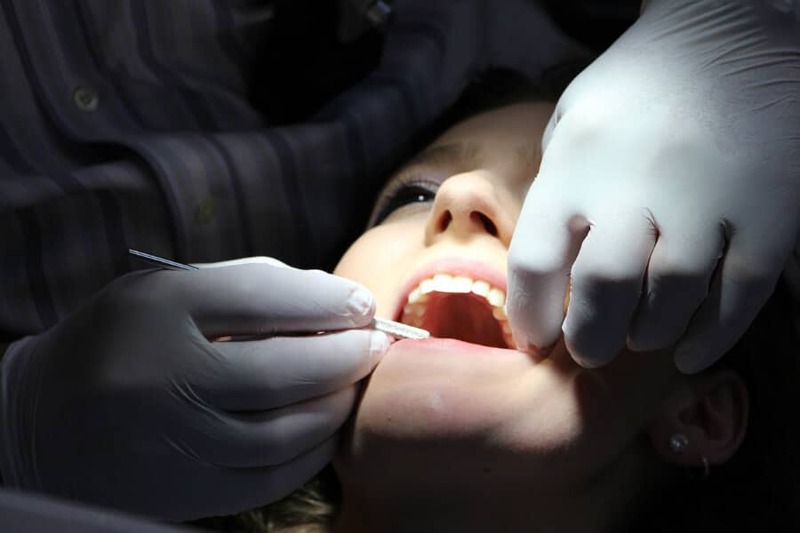 Every injury is specific to the individual and your dental professional will need to examine your teeth to determine the best course of treatment. If dental services are not immediately available, use the steps given above to minimize the injury and discomfort. When in doubt, always consult your dentist. Don’t let a small issue develop into a big issue. ← What is Difference Between Retainers and Invisalign?